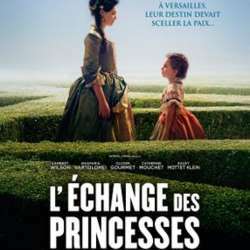 I'm happy to invite you to watch the screening of the French movie 'L'Echange des Princesses'. The movie is in French OV, but with German subtitles. Screening starts at 20:00, but please be there by 19:30, as tickets need to be picked up 30 minutes prior to the start of the movie.